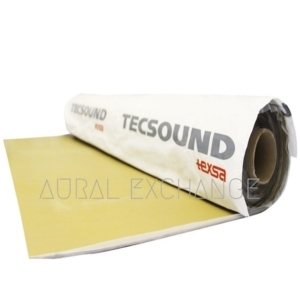 Texsa manufactures, markets and distributes products for thermal and acoustic insulation, as well as the corresponding auxiliary materials for each of these fields. Texsa’s work is closely linked to the building sector with important contributions, in the way of advances that have acquired worldwide recognition. Architects, engineers, applicators and distributors from all over the world have collaborated closely with Texsa Systems to obtain new products and systems capable of overcoming the architectural challenges of the 21st century. Texsa is present in over 36 countries. In its bid to serve the building market and thanks to its R&D department, Texsa is equipped to adapt its various products to the local regulations, which although quite global can vary as far as testing or systems regulations. All the products manufactured by Texsa are certified by AENOR, bear the CE marking and the majority of the products have Technical Approval or European Technical Approval (ETA). Texsa is part of the world-leading Group in manufacturing waterproofing solutions for construction, focussed on sustainable development and has more than 100 years of experience. The Texsa group currently employs 6.260 professionals, with a turnover of 1.8 billion euros in 2013, it has 49 production sites and 60 operating subsidiaries. It is present in 90 countries, 7 R&D and innovation centres and 19 training centres in 5 countries.